CA Advisors is a leading consulting firm that specializes in applying quantitative techniques to help clients improve their decision making and gain a competitive advantage. Throughout many years of professional work, we have combined state-of-the-art analytical methods with practical experience to consult on projects in a wide variety of areas, ranging from operations management and planning to decision analysis and R&D. To enhance the results, CA Advisors collaborates closely with clients, communicates clearly about problems and solutions, and provides scientifically-based tools that are easy to use. 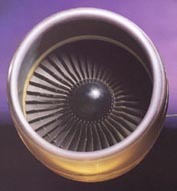 CA Advisors has a core expertise in air transportation with a focus on powerplant MRO (maintenance, repair, overhaul). Our consulting services consist of a unique blend of academic expertise and practical hands-on experience in engine MRO.